Sophia Meyer is an Account Coordinator on the Nereus team. Sophia attended the University of Oregon, where she took classes at the School of Journalism and Communication, learning an array of skills encompassed in the journalism world. She graduated with a BA in public relations and hopes to apply her knowledge and creativity to the exciting world of tech PR. Prior to Nereus, Sophia worked for Media & Image Consulting, performing tasks such as writing press releases, conducting social media analytics, strategic social media planning, and media pitching. 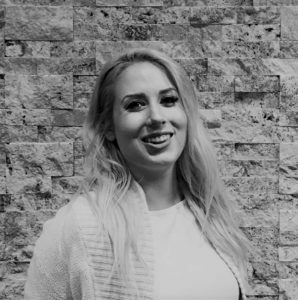 Sophia’s empathy and passion allows her to connect with a client and accurately assess their needs. She enjoys figuring out how to portray a company’s story and help them better communicate with their audience, studying market behavior and social media analytics. Sophia is a strong believer in storytelling and its potential to spark change. In her spare time, she enjoys writing for her personal blog, reading mystery novels, creating comedic videos, and avoiding the gym.